It’s the moment we’ve all been waiting for: the big reveal of the 2013 VPI Hambone Award® Winner! 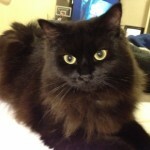 More than six thousand votes were cast, but only one precious pet could be named this year’s winner. 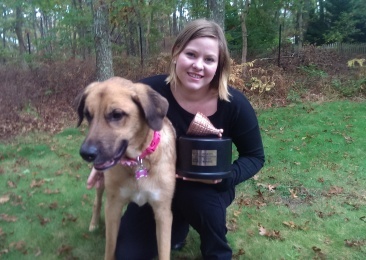 More than six months after ingesting a two-pound bag of frozen onion rings (which are toxic for dogs), Winnie, the mixed-breed pooch wins the title of VPI’s Most Unusual Pet Insurance Claim of the Year! Winnie is the fifth recipient of the annual award created by VPI to educate the public about unexpected mishaps that befall household pets. This year’s race was tight and had a record number of votes cast by the public. Natasha the Siberian Forest cat, who went through an entire washing machine cycle and lived to purr about it started out with the early lead, but Winnie was relentless in her pursuit of victory. By the time the polls closed, Winnie had successfully overtaken Natasha, earning her the coveted title and claim to fame. Winnie earned her nomination in March when her owner, Kyle Bowser of Barnstable, Mass., returned home to find an empty two-pound bag of frozen onion rings and a very guilty-looking pup. Fortunately, thanks to timely Facebook feedback and life-saving care at Hyannis Animal Hospital in West Yarmouth, Mass., Winnie made a full recovery. Kyle and her husband rushed out of the house to pick up their daughter without realizing they left a bag of groceries that contained a two-pound bag of frozen onion rings on the counter. When the Bowsers returned home, they found an empty frozen onion ring bag on the floor and Winnie with a very guilty expression on her face. Thinking the onion ring consumption could lead to nothing more than a stomach ache; Kyle’s husband posted the photo on Facebook. Fortunately, a friend who viewed the photo pointed out how harmful onions can be to dogs, leading the Bowsers to research the toxicity of onions. 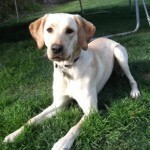 Although Winnie’s blood tests did indicate initial signs of anemia, fortunately, Kyle and her husband’s mad dash to the veterinarian prevented any long-term damage from occurring. The 11 nominees were chosen from more than 1.1 million claims VPI receives annually. They were considered among other uncommon medical claims and selected by VPI as the most unusual of the bunch. 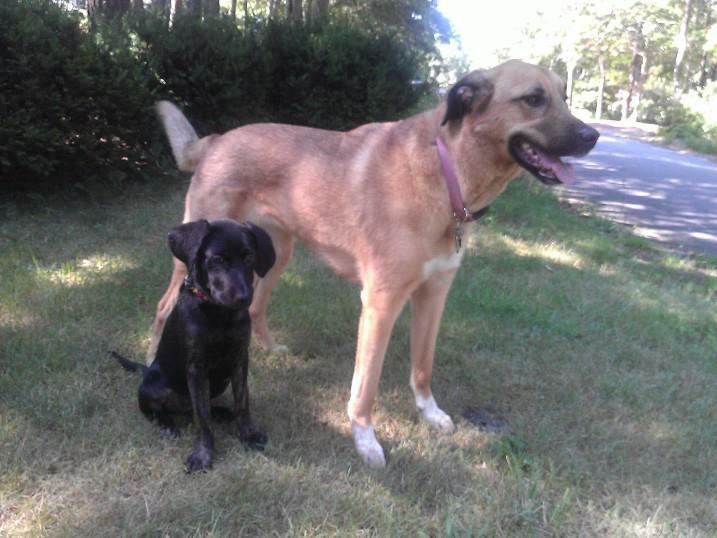 All pets considered for the award made full recoveries and received insurance reimbursements for eligible expenses. For more details on the 11 VPI Hambone Award® nominees, to read their claims, or see their photos and videos, visit VPIHamboneAward.com. 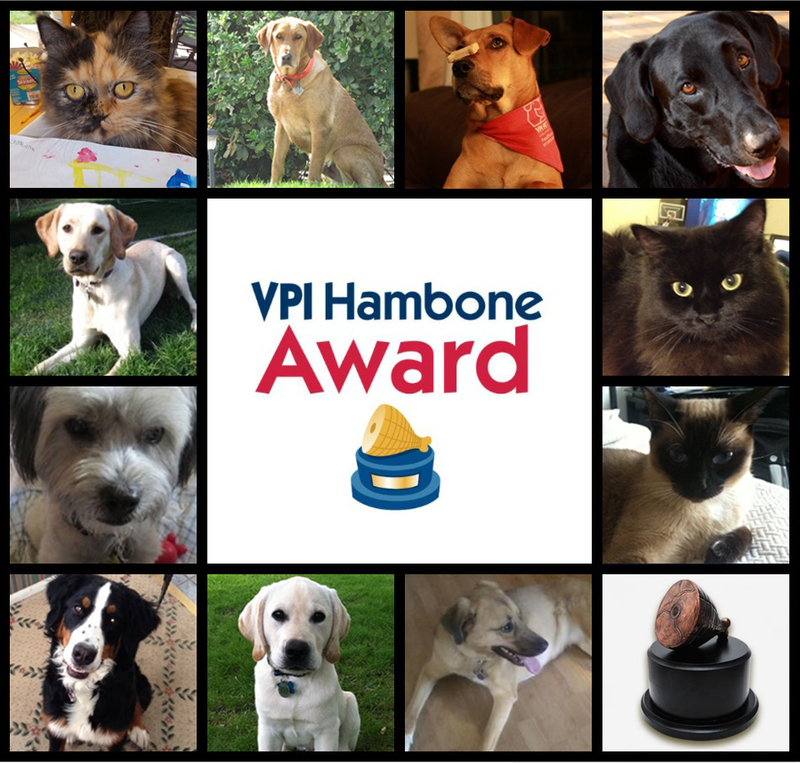 On behalf of us here at Veterinary Pet Insurance, congratulations to Winnie and all of the 2013 VPI Hambone Award® nominees!